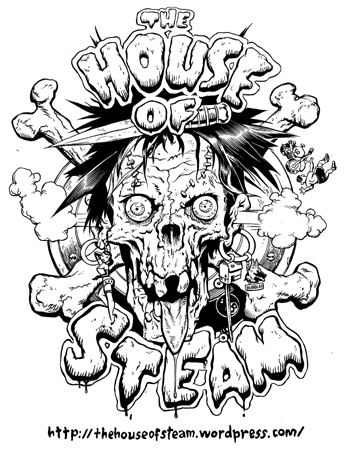 The House of Steam Wants You! We launched THOS Video Podcast because some footage just deserves better packaging. 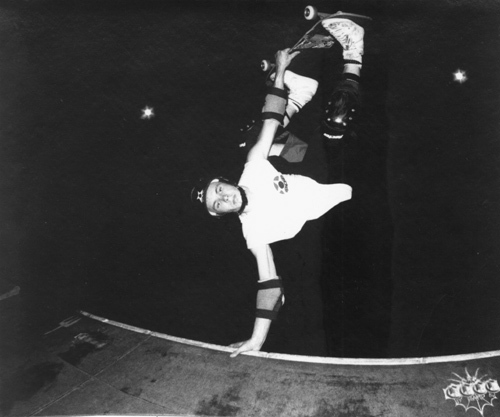 Just as THOS was the archive to dust off a thousand skate albums and encourage the archiving of new and existing photographs THOS Video Podcast was instituted to encourage the dusting off of VHS tapes and encourage original and unique new filmmaking. 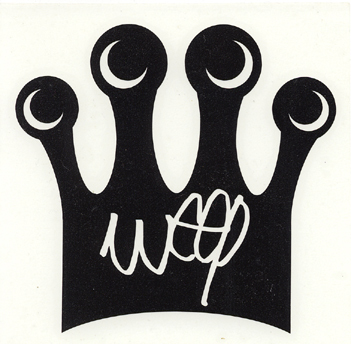 Footage from past and present with great music…that simple. Things are different in Itunes land and projects like this need to be viewed regularly and updated frequently or Steve Jobs comes in and pulls the plug personally (seriously). That is what makes projects like this all the more exciting though. We need you to head over to Itunes and write a couple sentences about why you dig THOS! The podcast already has subscribers in the three digit realm and is steadily climbing the skate ranks even before I write this. More reviews, quality episodes and subscribers will take us to the front page of Itunes. Because of the nature of this project I have also added a donation jar to The Podcasts Website anyone who feels compelled to assist with the financing of this ongoing project will have their names, their links or ‘anonymous’ displayed prominently on the site and in upcoming vids and become forever known as natural born world-shakers. Write a review and tell the world what you dig about THOS. Donate because you are a natural born world-shaker. 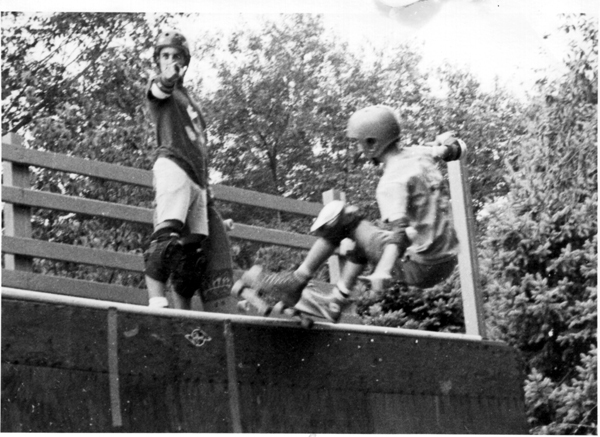 Some special thanks to Sophie ,Mike Vallely, Larry Ransom, Totally Skateboarding, The Philly Warehouse Crew, Steve Mannion,The Raging Lamos, The Spaced out Weirdos, FDR’s mystery filmmaker, anyone who ever visited The Barn, Jim and Dennis Kane, Team Steam and everyone I ever went to school with. 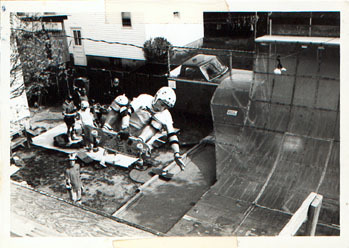 This entry was posted in Jason oliva, Mike Vallely, Photos by Kevin McDowall, SKATE VIDEOS and tagged ART, backyard ramps, boards, diy, east coast, house of steam, independent, itunes, jason, Jason oliva, jasonoliva, landshark wheels, New Jersey, New York City, old school, old school skateboarders, oliva, paintings, photography, pool Skating, ramp, ride, sk8, sk8t, skate, skate decks, skate history, skate photography, Skate ramps, skate stickers, skate trucks, skate wheels, skateboarding, skateboarding history, skateboarding photography, skateboarding podcast, skateboards, skatepark, skater, SKATERS, steam, Stickers, Street Skating, TEAM STEAM, The Barn, The House of Steam, the house of steam shop, the house of steam video podcast, thos, thos podcAST, thos shop, those, those shop, those video podcast, underground, underground skateboards, vert, vert ramps, Vert Skating, video podcast on April 8, 2010 by jasonoliva. 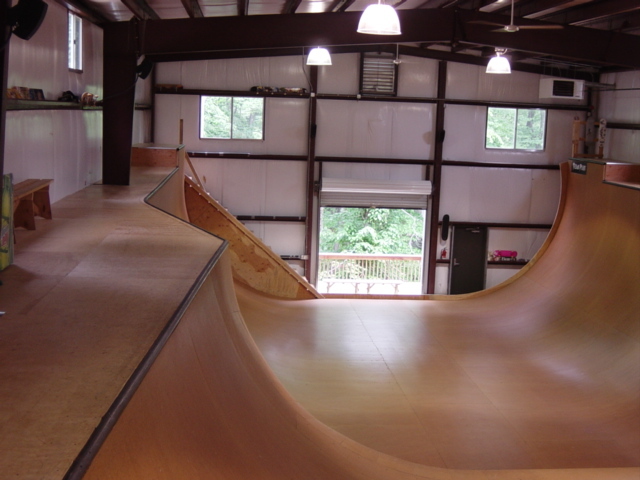 I have been speaking with Allen and he has expressed a willingness to cultivate an ever expanding and exciting vert scene at his DWG Vert Facility in Blairstown NJ (Which I like to think of as The Barn 2.0™) Just shoot me an email jasonoliva@gmail.com with DWG as the subject and I will make sure you experience all the Saturday afternoon (1 to 4) fun. Please send pictures! This vid is from Sat. Allen has erected a 3.5-4 foot extension for anyone who’s up to the challenge. 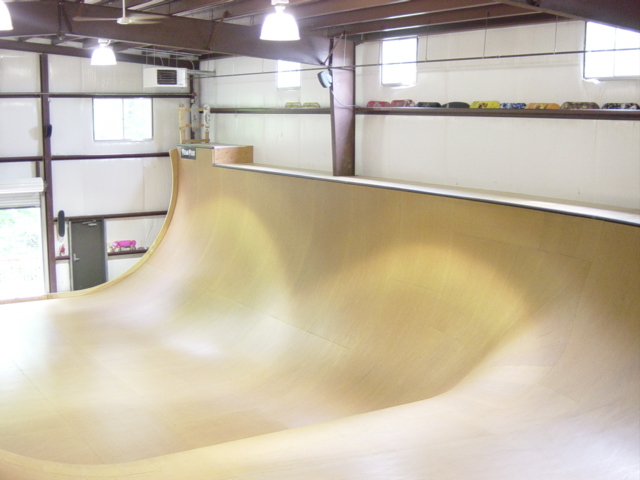 You will see his incredible frontside air off this thing! designed for natural light year round and well-maintained. 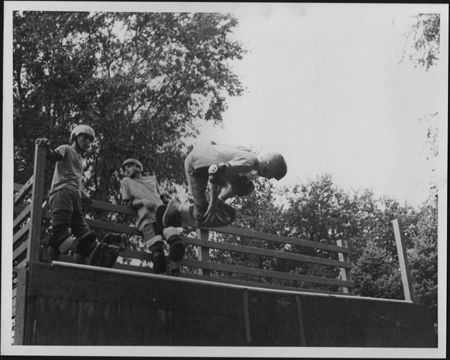 have a real sense of the beauty of skateboarding! Thanks for the kind words Allen. Actions shots on there way soon. If you want to get in touch with Allen you can contact him Via The House of Steam Forums…I have set up a Delaware Water Gap Vert Facility category. Could not help myself. 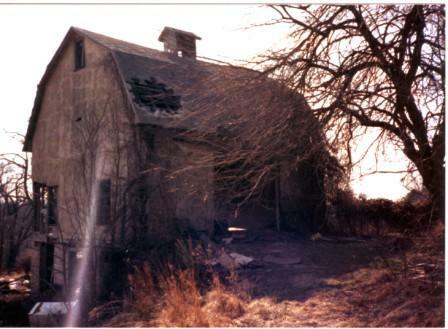 Lets visually compare and contrast The DWGVF with The Barn. Dennis and Jimmy always liked that shabby sheik look! Well could this be the new House of Steam! I’ll let Dennis Kane decide after his hopeful July visit. So SAYS THE HOUSE OF STEAM!!!! 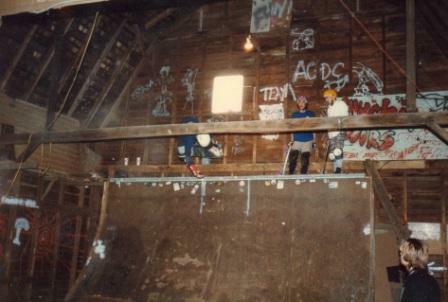 This entry was posted in 1986, 2007, Bob Burnquist, Dennis Kane, DWG Vert Facility, Jeff Hammond, Jimmy Kane, Photos by Dennis Kane, Photos by Derek Rinaldi, Photos by Kevin McDowall, SKATE PARKS:, SPOTS:, TEAM STEAM, The Barn, The Barn’s History and tagged Allen Gibson, ART, backyard ramps, boards, delaware water gap vert facility, east coast, house of steam, jason, Jason oliva, jasonoliva, New Jersey, New York City, oliva, paintings, photography, pool Skating, ramp, ride, sk8, sk8t, skate, skate decks, skate history, skate photography, Skate ramps, skate trucks, skate wheels, skateboarding, skateboarding history, skateboarding photography, skateboards, skatepark, skater, SKATERS, steam, Street Skating, TEAM STEAM, The Barn, The House of Steam, thos, vert, vert ramps, Vert Skating on June 28, 2008 by jasonoliva. 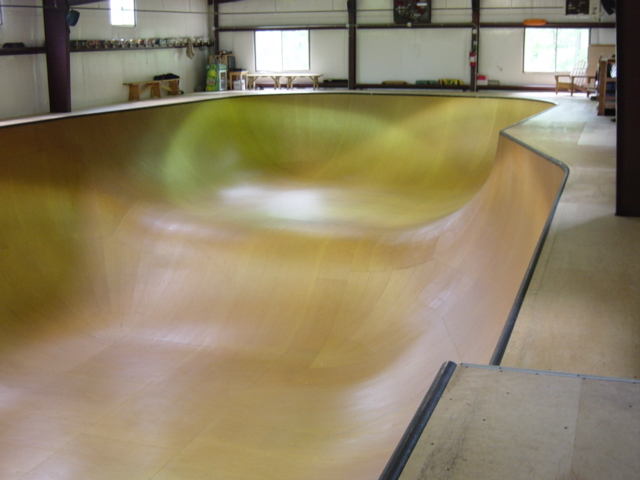 I road Tom’s ramp once Dan Tag brought me…. it was a tricky one I remember it being really slick, wish I brought my camera that day. If you are one of the individuals on the ground in this photo let us know who you are! This Gem of a photo of one of the Barns last days and Steve Mannion’s The House of Steam logo are available on T shirts NOW!! If you want some stickers just paypal thehouseofsteam@gmail.com some dough and we can put them right out to you! This entry was posted in 1984, 1987, 2. 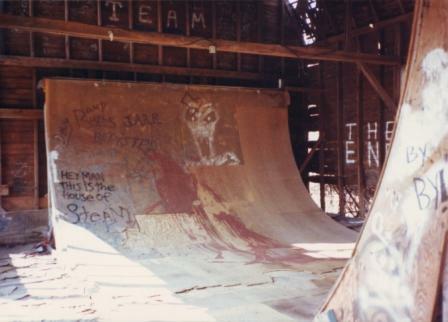 SKATE SPOTS:, Bernie O'Dowd, Groholski's Ramp, Photos by Kevin McDowall, SKATE PARKS:, SPOTS:, TEAM STEAM, The Barn, The Barn’s History, Tom Groholski and tagged ART, backyard ramps, Bernie O'Dowd, east coast, jason, Jason oliva, jasonoliva, New Jersey, New York City, oliva, paintings, photography, pool Skating, ramp, ride, sk8, sk8t, skate, skate history, skate photography, Skate ramps, skateboarding, skateboarding history, skateboarding photography, skateboards, skatepark, skater, SKATERS, steam, Street Skating, TEAM STEAM, The Barn, The House of Steam, thos, Tom Groholski, vert, vert ramps, Vert Skating on December 14, 2006 by jasonoliva.